I have another Cocktails & Colors via Cosmoprof polish to share with you today. This one is from the brand Alter Ego. I need to be honest, I received some polishes from this brand last year at Cosmoprof and was really unimpressed with the formulation and wasn't comfortable reviewing them. I heard that Alter Ego recently formulated their polishes and I am very pleased with what I received this year. 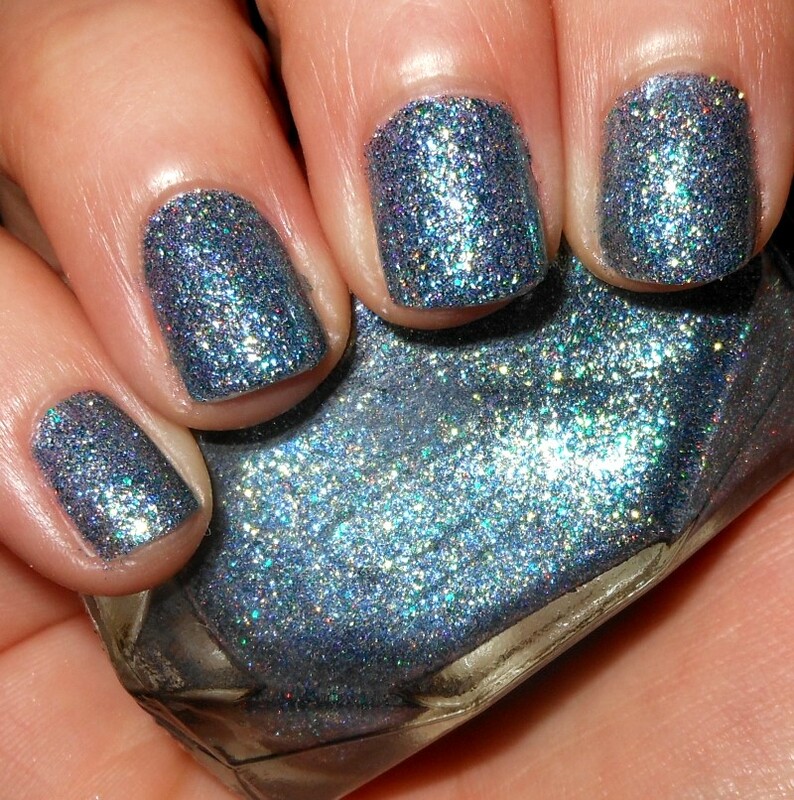 Vegas Showgirl is a mix of blue, green, gold, and holo glitters in a clear base. Color: This is really an all-star glitter polish. This is a complete 180 turn around from what I was expecting from this brand after last year. I love the dimension of this polish with the varying color and types of glitter. 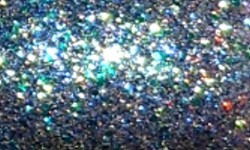 It's also an opaque glitter. Formula: Excellent formula! I'm very happy to report this. This only needed 2 coats for opacity and was very easy to apply. Price: You can purchase this on Alter Ego's site for either $4.50 for a 8.5ml bottle or $9.00 for a 17ml bottle. Overall: This was a brand I really had completely written off based on what I received last year. I'm happy that formulation changes were made and it really made a massive difference. This brand went from off my radar to a brand I'm really interested in now. I like when a brand can change my mind.